Health activists are tough. They publicly take principled positions and are always faced with people who disagree with them. But they want to make the world better—for people they don’t even know. Their goals are about more than just how they will benefit from changing systems. They are committed, tough, and not afraid to speak their minds. That’s what Barbara Brenner believed. Barbara was Breast Cancer Action’s Executive Director for 15 years and she was my partner for 38 years. If she were still alive, I know Barbara would be talking about the need for health activists right now and certainly about the need for Breast Cancer Action—at a time when there is a torrent of threats to women’s health and well-being. The insanity of the current administration’s attacks on healthcare, environmental protections, and FDA regulations have crossed the line – so many lines. If you’re as outraged as you should be, there is something you can do: donate to the Barbara Brenner Rapid Response Fund (BBRRF). Under Barbara’s leadership, Breast Cancer Action became well-known for responding rapidly, accurately, truthfully, and fearlessly to issues about breast cancer. And that legacy continues. Breast Cancer Action has jumped into action as the rapid response watchdog of the breast cancer movement as breaking news hits at an unprecedented rate. And we need your support now more than ever so we can continue to speak out, educate the public, and motivate people to take action. I hope you will join me in making a donation to the BBRRF so Breast Cancer Action can continue this important work on behalf of breast cancer patients and the people who care about them. 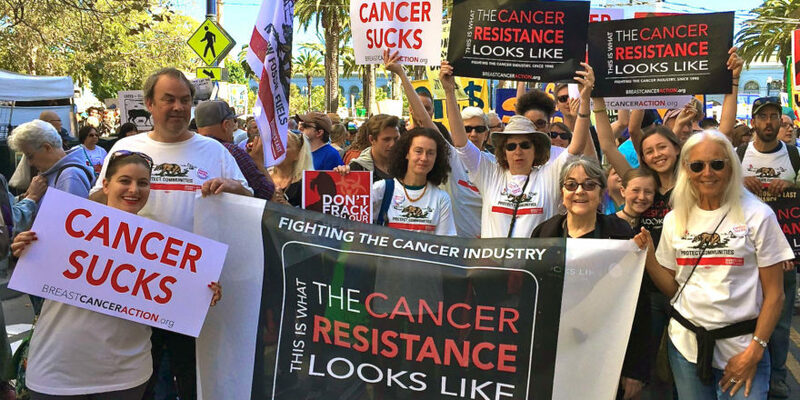 Your past support allowed Breast Cancer Action to rapidly respond right after the inauguration, mobilizing to fight corporate-heavy cabinet appointments, proposed budget cuts, and the relentless attempts to overturn healthcare legislation. And I think you’ll agree that now, more than ever, your donation to the BBRRF is crucial. Barbara defined Breast Cancer Action’s persona and voice: fearless, smart, fierce, unapologetic, and, at the same time, compassionate. 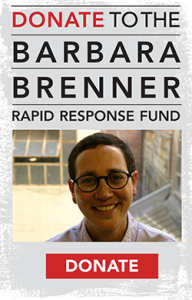 I can’t think of a better way to honor her memory while actually standing up to the current threats of these times, than to make a donation to the Barbara Brenner Rapid Response Fund today. P.S. The first paragraph of this email is an excerpt from “Health Activism – Not for the Faint of Heart,” which first appeared as a post on Barbara’s blog. That post is included in So Much to be Done: The Writings of Breast Cancer Activist Barbara Brenner, which you can order here. ← Your Help Now is Crucial!